Vividha and Ravish get married. Sujata takes a promise from Ravish that he will always keep Vividha happy. Sujata regards Vividha as her daughter. She makes Ravish promise that he will not let Vividha bear any sorrow now and give her love and respect. Ravish promises Sujata. Sujata feels Atharv has done wrong, and ends ties with Atharv because of his biggest mistake. Ravish and Vividha will be seen as parents of little Madhav. 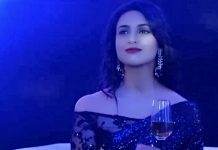 The show takes a four-year leap, where Ravish and Vividha are seen happily married, while Sujata dearly misses Atharv. Vividha feels Atharv cheated Sujata and everyone. Vividha hates Atharv. Sujata has belief that Atharv is still alive. Atharv will be seen as a fitness centre owner. Atharv will be seen in a completely different avatar. Ravish and Vividha are happy in their life. Atharv loses his memory and gets a new identity of Raghav. Atharv stays with his new family. 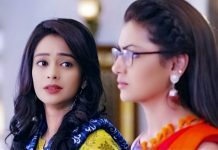 Ravish does Atharv’s duties in Sujata’s life, while Suman becomes Atharv’s mother to make him away from Ravish and Vividha’s life. Atharv regards himself as Suman’s son Raghav Suman.